August 2014 – Reader! Read Faster! So strong is their product, Moleskine have been called the iPhone of notebooks. So we are delighted to bring you an exclusive offer on a range of Moleskine travel accessories. Throughout the shop, you will see 20%-off displays on some Moleskine items you may not have seen before. We have durable iPad covers (for 3 and 4), stylish laptop and messenger bags with gorgeous inner linings, including their new MyCloud range, and book lights designed to match all the colours of the rainbow, each with warm, rechargeable LEDs. We even have colour pencil cases! 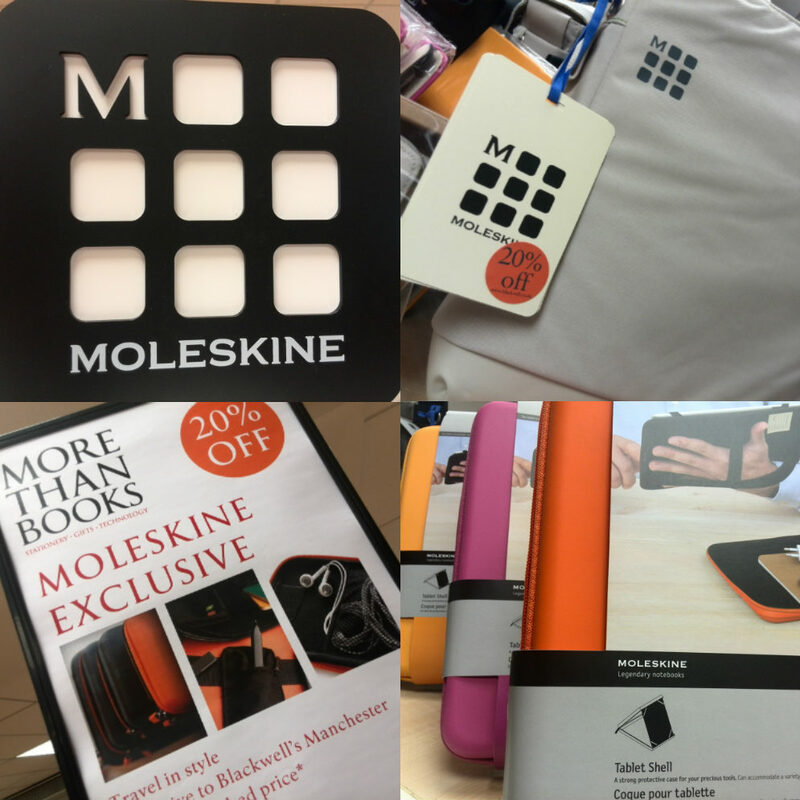 20% off RRP on quality Moleskine accessories is a deal that is only available in our bookshop, and the offer won’t last long. Pop in for details. Click here to browse the rest of the Moleskine range. If you would like to work with us in September and October, here’s your chance. We need quick learners who love books and love serving customers – people that can keep a cool head when serving large numbers of students as they leave lectures. In August, we will sift through CVs and then interview for around half a dozen temporary posts. If you want to be considered, please drop a CV into our bookshop or email it to manchester@blackwell.co.uk.